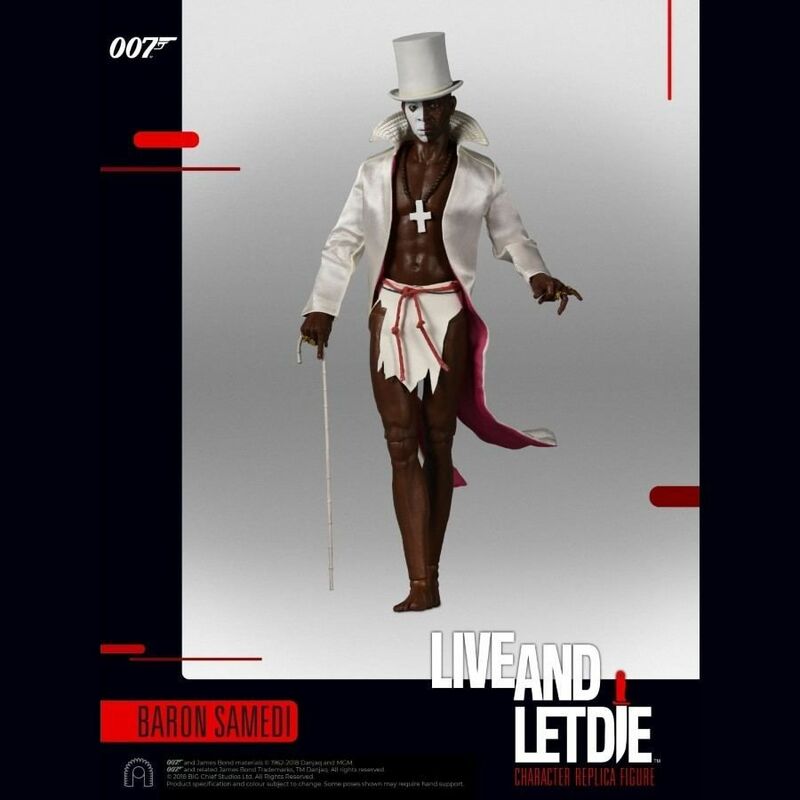 From BIG Chief Studios, we present this Limited Edition 1:6 Scale Figure of Baron Samedi from James Bond Live and Let Die which has a fully realized portrait of actor Geoffrey Holder. 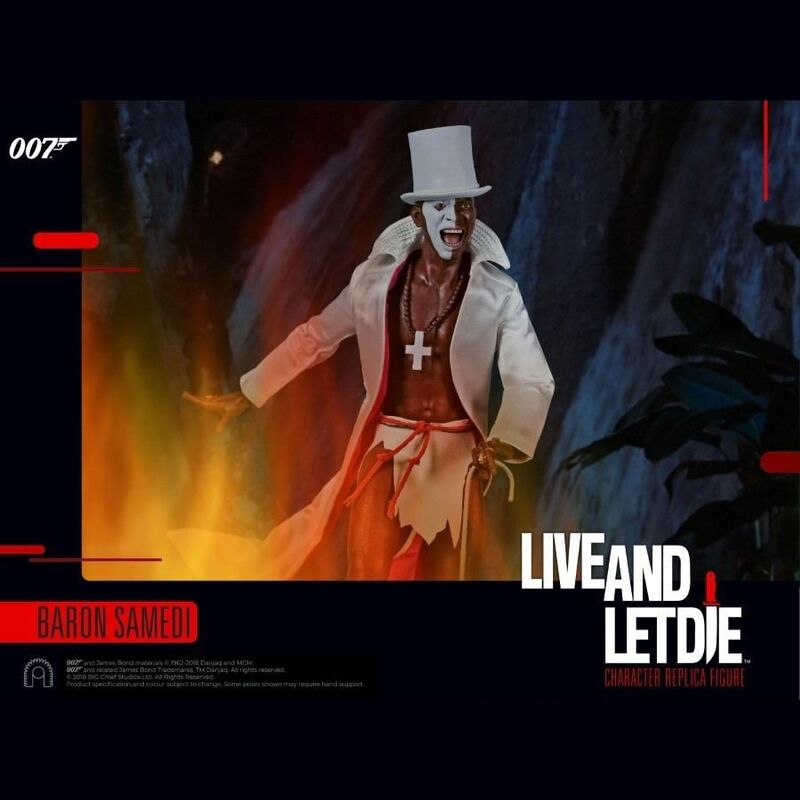 From BIG Chief Studios who are proud to present this Limited Edition Baron Samedi Sixth Scale Character Replica Figure based on the character from the James Bond film, Live and Let Die. 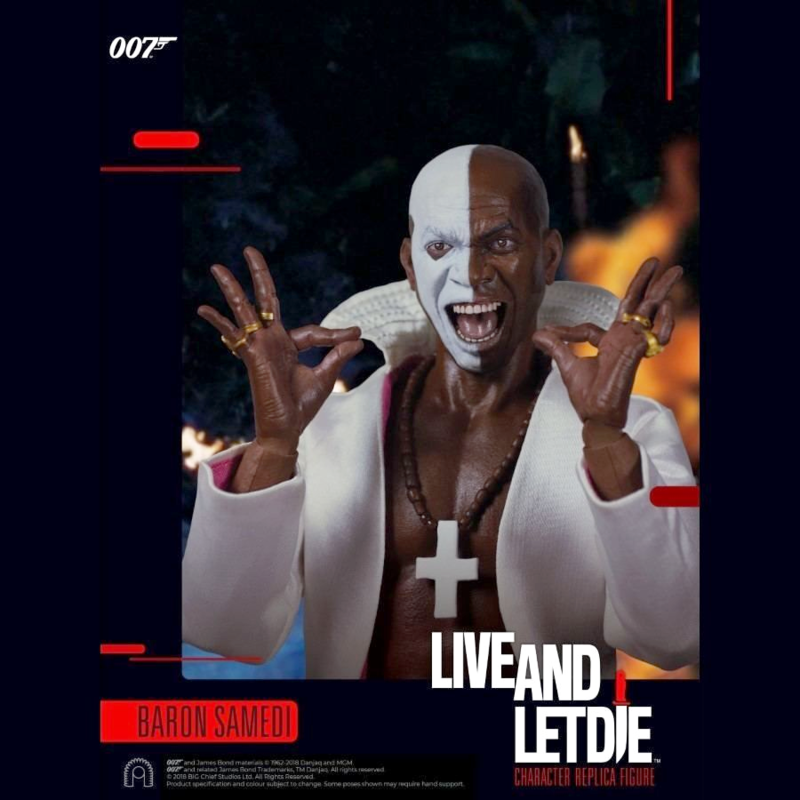 Baron Samedi, played by actor Geoffrey Holder masquerades as an entertainer and dancer for tourists but also aids Dr. Kananga by using superstition to divert attention away from his drug operation. 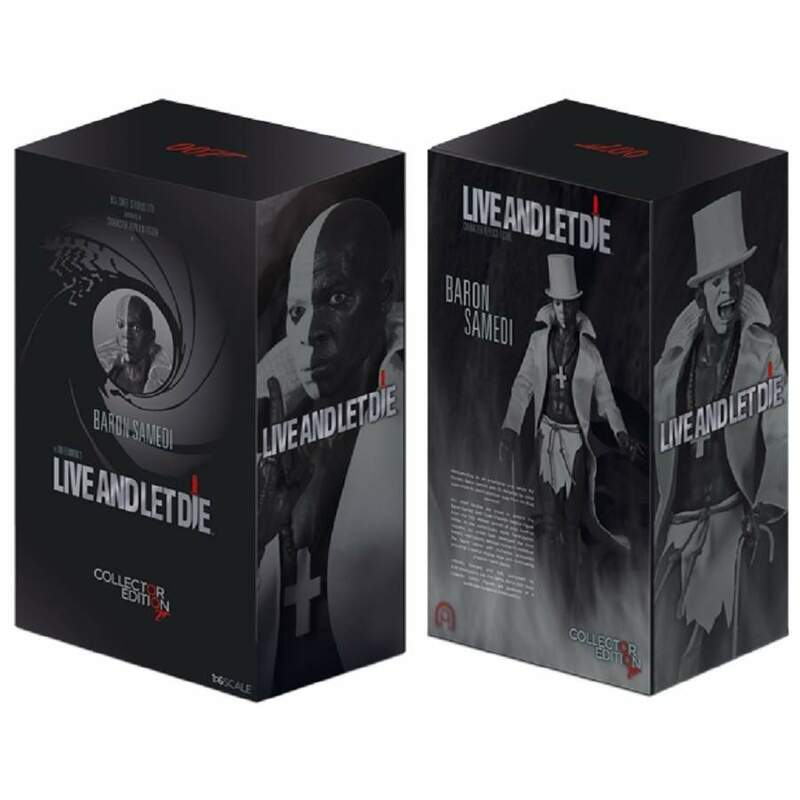 Featuring a fully realised portrait of actor Geoffrey Holder and an authentically styled, hand-tailored costume developed by the artists to create this awesome and meticulously detailed replica in miniature. This figure comes complete with a variety of accessories and also includes a special display base with illuminating character name plaque. James Bond gun logo and James Bond materials (C) 1962-2018 Danjaq and MGM. James Bond gun and related James Bond Trademarks, TM Danjaq. All rights reserved. (C) 2018 BIG Chief Studios Ltd. All Rights Reserved. 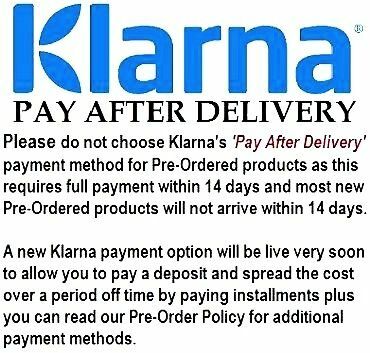 Product specification and colour subject to change. Some Poses shown may require hand support.